Most of us do not describe headaches according to medical classifications. We usually cannot say with certainty whether we are experiencing a tension-type headache, cluster headache or migraine. Instead most people describe the pain by the nature of the pain (for example a throbbing headache), the location of the pain (example pain at the back of the head), triggers (example headache after sleeping) or associated symptoms like a headache with eye pain. A headache behind the eye is a common problem. Many people suffer with such headaches and the reasons can be varied. However, it is important to first differentiate a headache (head pain) from eye pain. While both can occur simultaneously, a headache behind one eye or both eyes does not always mean that there is both head pain and eye pain together. There is no significant anatomical difference between the left and right side (eye, socket, nerves, muscles) to suspect specific causes for a headache behind the right or left eye. In most cases eye pain would suggest some disease or disorder of the eye and surrounding structures like the muscles that move the eyeballs, nerves and eyelid. Sometimes the problem may originate from the eye while at other times the problem does not involve the eye at all despite the pain being felt in this area. Although this can be confusing for most people, the presence of other eye symptoms like redness of the eye, visual disturbances or excessive tearing would suggest an eye problem specifically. In this regard the causes of eye pain should be investigated. The two types of headaches where pain behind the eyes is reported in some cases are migraine headaches and cluster headaches. However, there are a host of other causes where head pain behind the eyes may be present even if a person does not suffer with migraines or cluster headaches. The location in head pain behind the eyes often correlates with what is known as a frontal headache or forehead pain. Some of the possible causes of headache behind the eyes are discussed below. Migraines are severe headaches that occur for no clearly identifiable reason. It is believed to be associated with abnormal blood flow in the brain. Although the exact cause is unknown, there are many common triggers of these types of headaches such as psychological stress, insufficient sleep, certain foods or drinks and hormonal changes in women among a host of other factors. Some sufferers report pain behind the eyes, usually referring to both eyes which may at times be related to light sensitivity that occurs in migraines. Cluster headaches are less common than migraines but is considered one of the most severe types of headaches. The pain may be described as intense burning, stabbing or throbbing in nature. It occurs several times in a day on several days over a few weeks but then resolves completely for months or years (remission) only to return at a later time. Pain behind one eye is a common complaint among people who suffer with cluster headaches and the one-sided nature does not usually change sides. 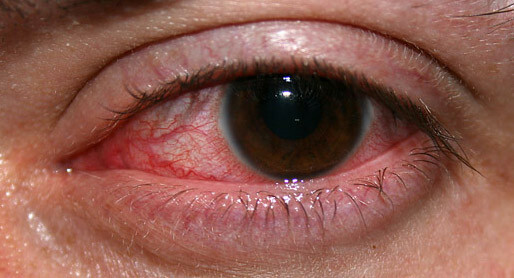 Eyestrain is one of the common causes of pain behind the eyes and it is prevalent these days with prolonged use of computers and long hours of watching TV. It is due to multiple factors like dry eyes from infrequent blinking and strain of the inner eye muscles due to staring at a fixed distance for a long period of time. Eyestrain is more likely to occur with refractive eye disorders (nearsighted, farsighted, astigmatism) where a person does not use the prescribed eyewear to correct the problem. Redness, excessive eye dryness or tearing, blurred vision, eye pain and a sense of tired eyes are some of the common symptoms. Tension-type headaches may also occur in the same situations that cause eyestrain. Acute sinusitis is another common cause of pain behind the eye as well as around the eye. The condition is often due to an infection or allergic reaction of the paranasal sinuses. This causes the the tissue lining the sinuses to become inflamed, swollen and congested with mucus. The location of the pain depends on which sinuses are affected. Involvement of the maxillary sinuses would cause cheek pain just below the eyes while the frontal sinuses would cause pain above the eyes and the sphenoid sinuses are more likely to cause pain behind the eyes. Orbital cellulitis is an infection of the tissue around the eyes and usually involves the eyelids. It usually arises as a complication of a sinus infection and is more commonly seen in children. Orbital cellulitis is a very serious infection as it can progress rapidly and even lead to blindness. There is usually evident swelling of the tissue around the eye, including the eyelids, eyebrows and cheeks. The eyes may bulge out and there is eye pain with difficulty or pain when moving the eyes. 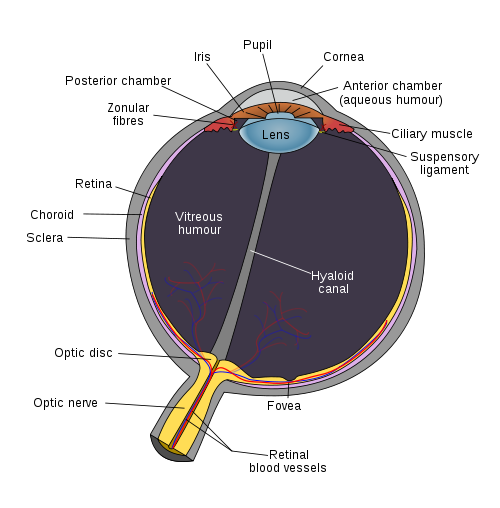 Optic neuropathy is a condition where the optic nerve is damaged or diseased. It is a very serious condition and it may progress to blindness in some cases. The are a number of different causes including infections, toxin exposure, nutritional deficiencies, inherited disorders and nerve-related (neurological) diseases. Optic neuropathy may also occur as a complication of sinusitis. Apart from the visual disturbances there is also pain that is usually worse with eye movements. Injury to the head can cause a host of consequences such as fractured skull bones and raised intracranial pressure due to bleeding or swelling. Headaches and pain behind the eyes are one of the symptoms that may occur. These types of injuries are more likely to occur with motor vehicle accidents, contact sport injuries, from falls and with assaults. Traumatic head injury should always be taken seriously until diagnostic investigation can verify that there is no underlying problem.